For-profit schools provide an education to many students who might otherwise be unable to attend post-secondary school. 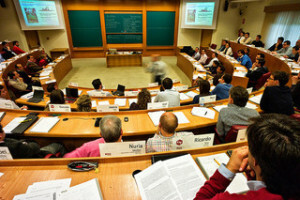 However, these schools have a dual mission: a commitment to educating students and a commitment to earning money for investors and shareholders. While many, perhaps most, are ethical and education-oriented, some for-profit schools misuse federal student aid funds perpetuating scams that hurt the government and students alike. Today, our false claims act law firm looks at federal student loan fraud and reminds readers of the importance of whistleblowers in all government fraud cases. On June 24, the U.S. Department of Justice (“DOJ”) announced that Education Affiliates (“EA”) agreed to pay $13 million to settle False Claims Act (“FCA”) claims against the for-profit institution. EA operates 50 campuses providing post-secondary training in a range of fields in five states. The suits were brought by five whistleblowers who will share approximately $1.8million under the FCA’s qui tam provisions. EA denies any wrongdoing. According to the allegations, employees altered admissions tests, created fake high school diplomas, referred applicants to “diploma mills” so to obtain invalid high school credentials, and otherwise falsified federal aid applications. EA allegedly violated the FCA, defrauding the government by enrolling and accepting federal aid funding for unqualified students. The settlement also resolves claims that EA violated the ban on incentive pay for enrollment personnel, misrepresented graduation rates and job placement figures, and altered attendance information. Government officials claim EA defrauded the government and hurt students by providing them “a worthless piece of paper” instead of an actual education. This is far from the only case of a for-profit school facing FCA allegations involving federal student loans. Notably, not all cases focus on loan applications and/or admissions requirements. Per the government, it is also fraud, under the FCA, when a school accepts federal aid and fails to provide the education promised. It seems likely that those scenarios would also include defrauding students and providers/recipients of private loans, grants, and scholarships. Funds recovered in these cases may be used to repay the government, reduce student aid debt (or refund paid-off amounts), and provide appropriate whistleblower rewards. Schools often settle while denying wrongdoing. In January, Kaplan University paid approximately $1.3 million to settle a qui tam lawsuit alleging the school used federal aid to fund classes taught by unqualified instructors. In 2011, CHI Institute paid $1.6 million to settle whistleblower-brought claims that the school misled student and the government about the availability of externships that were a requirement for graduation from the surgical technology program. Thus, the school, allegedly, knowingly accepted federal funds for an educational experience it knew it could not provide. The government also alleged the school failed to comply with certain requirements for federal student aid funds. In 2009, the University of Phoenix paid $675 million to resolve FCA claims brought by two former employees on behalf of the federal government. The suit suggested the school accepted federal funds while violating rules forbidding schools from paying admissions counselors certain incentive compensation based on the number of students they recruited. Commenting on the University of Phoenix case, U.S. Attorney for the Eastern District of California Benjamin Wagner remarked, “This settlement showcases how a working relationship between the Government and private whistle-blowers can bring about effective results in terms of protecting taxpayer dollars.” Whistleblowers, often but not always current or former employees, are crucial to uncovering fraud against the federal government including fraud involving federal student aid. The government cannot police this growing field alone. Don’t sit by and allow fraud to happen. Don’t let dishonest individuals steal money from the government and an education from Americans. Speak. If you have information about a school committing government fraud, call our federal student aid fraud lawyer at (800)-427-7020. Our whistleblowers’ attorney handles FCA matters nationwide. As a team, we can fight fraud, ending fraudulent schemes and returning money to aid coffers. Ask us about the protections available to whistleblowers and the financial reward that may be.